There can only be one “first”. This sleek, dramatic two-place sports spider is the calling card of one of the most talented and prolific automotive designers of the 20th Century, Pietro Frua. 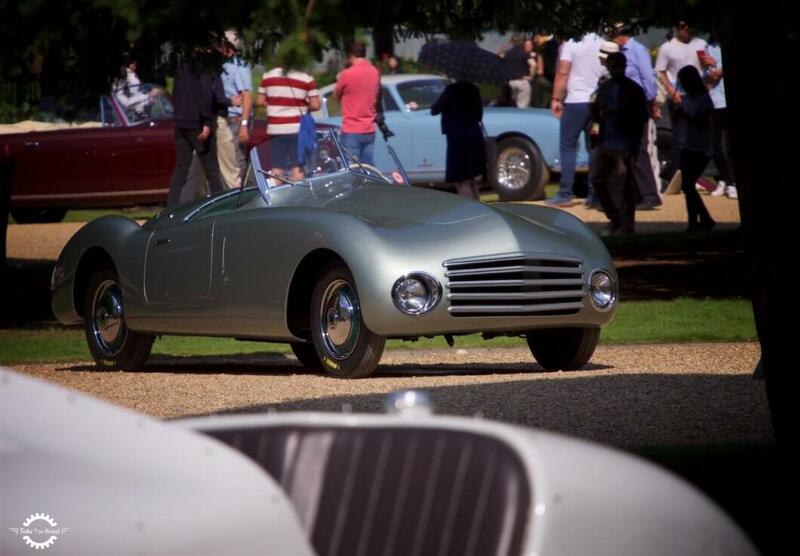 It is the remarkable 1946 Fiat 1100C Spider, with coachwork by non other than Carrozzeria Frua. And it is headed to auction at Bonhams Scottsdale sale on the 17th January 2019. Aiming to put his marker down as a force to be reckoned with in the promising post-war marketplace, Frua looked to have a show-stopping car ready for the first Italian concours events to be held in 1947. Both because of financial constraints and to appeal to the widest possible potential audience, Frua chose to clothe a Fiat chassis for his debut. The Fiat 1100 was introduced in 1937 and built until 1953. Designed by noted engineer Dante Giacosa, it was a comfortable family car powered by an in inline 4-cylinder engine of 1089cc displacement, and for the period, its comfort, handling, and performance were prodigious. 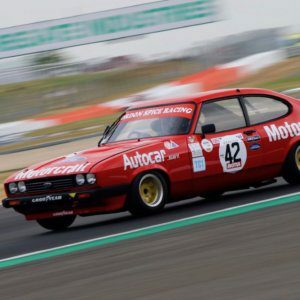 It featured rear wheel drive with a 4-speed gearbox and unusually for a modestly priced car of the time was built with independent front suspension with a leaf sprung live rear axle. After World War II, the car was re-introduced with a new name, the 1100E. It also received a bit more power, with 35hp in standard tune. While most of the production was of 4-door sedans, almost all Italian coachbuilders, or “carrozzerie” created one-off and small series models on the chassis. The chassis of this Fiat 1100C was sold by the factory to Carrozzeria Balbo in the middle of June 1946 and transferred to Pietro Frua shortly thereafter. The completed car was delivered new to Luigi Critterio on September 3, 1946 and sold to Gino Bubbolini on September 28th. In August 1948, the owner took out a loan against the car with Arturo Caron, which was redeemed the following year, and the Fiat was sold to Mr. Tagliabue of Milan. In 1950, Mr. Tagliabue sold the car to Mr. Monti of Pavia, at which time the registration was changed from MI 99124 to PV 31663, which the car retains to this day. Mr. Monti sold the car in 1983 for Mr. Safranez also of Pavia and to Mr. Petrilli of Rome in 2010. He sold the car to Auto Classic, a dealer in Torino, in 2013. Daniele Turrisi, a dealer and restorer in Bergamo Italy then acquired the 1100C and with him and American classic car consultant and historian Donald Osborne it participated in the Gara Storica di Piacenza in the Spring of 2015. Osborne sourced the car for the current owner from Turrisi in the Fall of that year. It was entered and ran in the Mille Miglia Storica of 2016, as number 144. Immediately following the event it began a restoration at Carrozzeria Gatti Luciano of Bergamo, Italy. Following much detailed historical research it was a great stroke of fortune to discover sections of the original light green metallic paint underneath the red it had worn for many decades. With its original colors and specifications restored to those of the car’s appearance at the Concorso di Como in 1947, it made its return to Lake Como at the 2017 Concorso d’Eleganza Villa d’Este on the 70th anniversary of its world debut at the Concorso on the lake. Subsequently, the Fiat 1100C Frua Spider was invited to be shown at the Concours of Elegance Hampton Court Palace in September 2017 at which time it was nominated as a candidate for “Restoration of the Year” by Octane Magazine. In March 2018 the car was invited to Japan for the 2018 Concorso d’Eleganza Kyoto, where it was awarded Best in Class, “Early Cars to 1951” and was Best of Show finalist. In August of 2018, it was shown at the Pebble Beach Concours d’Elegance, where it impressed in Class O-1 Postwar Touring. With a fully known provenance from new and a world-class restoration, this very special automobile’s new owner may choose to use it for further concours outings, or, riding on the restored period Fergat sport wheels with which it ran the Mille Miglia Storica return to vintage rally and touring events. Of course it can also be amply enjoyed on spirited drives through the countryside. But perhaps the greatest thrill of ownership might come from simply possessing something no one else in the world has- a unique piece of automotive history, the first creation to wear the name of Pietro Frua. More details on the 1946 Fiat 1100C Spider can be found on Bonhams Scottsdale sale website.